Markets have no doubt come back from their fourth-quarter doldrums in 2018, but is a rally marked by low volatility and volume reflecting underlying weakness ahead? 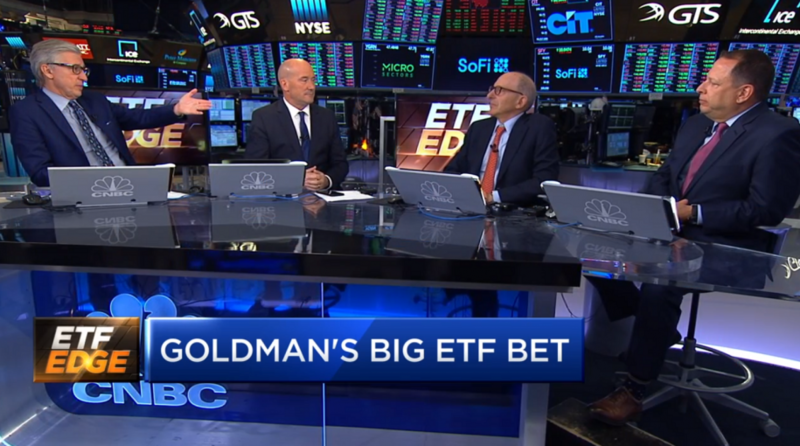 ETF Trends CEO Tom Lydon went on CNBC’s “ETF Edge” show on Monday to discuss these forthcoming challenges and how ETF investors can position themselves to gain even with a 2019 investing landscape that’s marked by uncertainty. After a strong first quarter rebound for the capital markets, there still remains a wall of worry for investors, such as slowing global growth and inverted yield curves. Is this a reflection of a stock market rally without much substance, which is leading to traders shorting market leaders and investors relying too much on factor investing to save them? Compare that to mutual funds, which have been trailing ETFs in terms of organic growth rate, the estimated net flow over a period divided by beginning net assets, within the last 10 years according to Morningstar. In fact, the average 10-year growth rate for ETFs is 16 percent versus the paltry 2 percent for mutual funds. Thus far in 2019, ETF inflows have topped $70 billion. However, ETF investors are more apt to exercise patience and see their returns play out over a longer time horizon via a buy-and-hold strategy as opposed to the manic buying-selling for mutual fund managers. Markets leaders in the ETF space like semiconductors and retail have been providing double-digit gains, but have also been the most shorted sectors. It speaks to the tactical nature that ETFs have started to take on with the introduction of new products entering the marketplace like leveraged-inverse ETFs. These have allowed ETFs to become tactical tools by traders as hedging instruments or shorting to profit from a downturn–options once had by only institutional traders and hedge funds. “A lot of these bigger ETFs actually has options that you can buy against those as well and you can buy them in a big, big way,” said Lydon. With the first quarter of 2019 behind us, it’s easy to forget the retail sector since the holidays are a distant memory, but the recent rally in the sector is a reminder to investors that they should consider adding retail-focused ETFs to their portfolios. While strength in the retail sector piggybacks off of strong consumer spending, there has been a lot of movement within the sector that could make for some interesting ETF plays like SPDR S&P Retail ETF (NYSEArca: XRT). However, it also tops the list as one of the most-shorted ETFs. “Big box retailers are getting unloved in a big way and we’re going to continue to see more of this, especially if this market gets higher, the question is ‘Can these companies continue to bring profitability? '” Lydon added. A market-capitalization-weighted index provides clients with exposure to a particular market based on security prices, without considering any true company fundamental to judge its value. However, the Great Recession of 2008 roiled investors with deep declines that they were not anticipating, as a result of overexposure to potentially overpriced stocks relative to their true value. As such, things began to change, with many financial advisors shifting to smart beta strategies in the past 10 years. This has led to an unprecedented rise in the number of factor-focused funds, but has it grown too big for its own good? While investors may flock to safe haven assets like bonds, there’s still a need for products that capture the upside potential in U.S. equities like factor-based ETFs. At the same time, however, there’s also a need for strategies that offer downside protection built into the product. This has especially been the case as of late as investors are sensing a downturn ahead as the bull market may be continuing to run on its last legs. “We really are in a situation where those that are looking at factors are doing it because they want a defensive strategy and they feel the market might be a little long in the tooth,” Lydon added.